For those who are searching for Pag IBIG Fund Baguio City Branch Contact Number. In this posting, we will giving you the contact information you need to get in touch with the Baguio City branch of Pag IBIG or HDMF. The contact details of the Baguio branch that we have provided in this article came directly from the agency’s website. We also included the agency’s call center hotline number and their Support Services trunkline number that you can call to inquire about housing loan programs offered by the agency. As promised, listed below is the address, trunkline numbers, and email address of Pag IBIG Fund Baguio City branch. Also given is the agency’s call center hotline number that accepts telephone inquiries 24 hours everyday. For housing related inquiries you call contact their Support Services and Housing Group whose trunkline number is also listed below. This entry was posted in Branches and tagged branch, directory, hotline, inquiry, membership, offices on August 4, 2017 by HDMF. 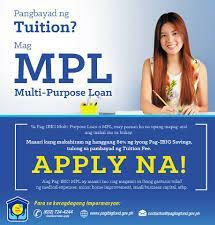 bkit poh masyadong mtgal ang pagprocess ng loan ko? mag 2 months n nxt week wla pa rin…..
Good day, may I ask you to give me pag-ibig number, I am member since 2012 thank you.